With permission of the Chief editor,I’d like to use this media to Look at the issues happening in my native country, The most populous and largest Black nation.. Nigeria. It is quite a wonder,that since how many days the Nigerian “Military-Civilian” president got “sick” ( if the guy still dey) that many Nigerians instead of showing signs of worry seemed rather relieved than worried at the man’s condition. Normally in such situations churches and religious institutions would call a nationwide fasting and prayer. I’m just trying to be frank here,about 45 different Nigerians I talked to, even among the northerners,I was surprised many people are not worried. Why on earth would a country not be worried that her president and “commander in chief is critically ill? One particular high government official who would not like his name mentioned was so bitter ,according to him,he would be happy if God should end this faster.”don’t mind all those traitorous sycophants crying his praises,that man’s government has nearly killed this nation.The people he has around him have more interest in the treasury than they do the welfare of the masses.Only God can help this country! 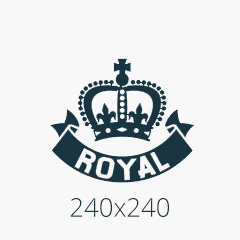 ” the man fumed. “”In South Africa, Nelson Mandela was ill, he was hospitalized in his home country, his people prayed for him to get well but unfortunately he kicked the bucket…. 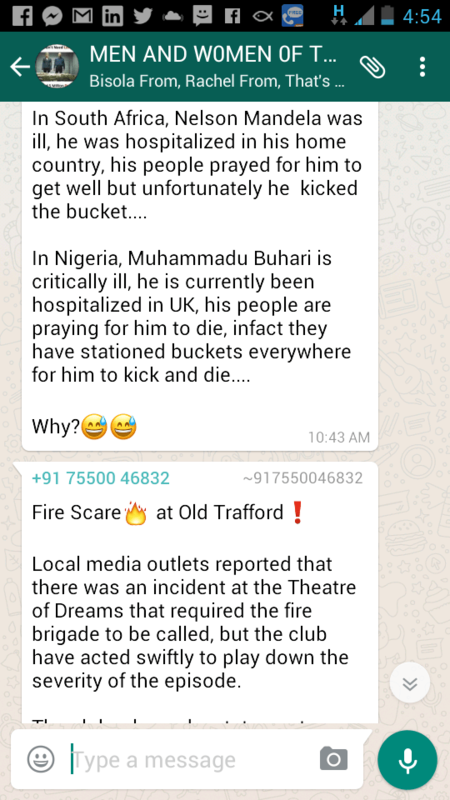 In Nigeria, Muhammadu Buhari is critically ill, he is currently been hospitalized in UK, his people are praying for him to die, infact they have stationed buckets everywhere for him to kick and die…. Probing further I found that most of the churches have not even mentioned the President or his sickness. “God alone knows what the mention of the name Buhari does to people! I could never have believed that this kind of hardship could be possible in Nigeria despite all our riches” says a lecturer in the department of political science in one of the federal universities in the East. What bothers me is why the presidency is hiding and covering up things about the country’s number one citizen’s health status.Rumours have gone all over the whole place that the “king is gone” The presidency reacted swiftly and warned people associated with such to desist. Yet they’d not open up . Once beaten, twice shy,goes the saying. We’ve experienced a similar situation in the case of former president Umaru Musa Yar’dua.The President hid the news of his death from the people, they kept covering up,and threatening people to stop spreading “fake news” about the President. Weeks later our President flew in to the country, a dead corpse! Though that time, people cried out, prayed and fasted to God for divine healing on Baba Yar. So the question now is where is our President? Don’t we at least have the right at least to know his condition? The vice President has since assumed the office of “acting president” which shows the serious nature of “Sai Buhari’s condition. To my uttermost shock,kerosene suddenly dropped from 500 to 270 in less than a week!! The cries of “Abel’s blood” have been reaching up to heaven after all. What nobody knows, is what would happen after this. The Biafran agitators have become confident that “salvation is near,a clear sign being the “magic-like” and unexpected victory of President Donald Trump. To them,it was a sign that God was going to set the “Israelites” free from the hands of their oppressors.Their cries for Freedom and the blood of slain Biafrans are reaching heaven. Dike, Nigerian editor and analyst.